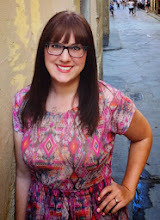 Welcome to part two of "What I'm Reading" this week! For those of you just tuning in, this week's book was Ally Condie's Crossed, the follow-up novel to her New York Times best seller Matched. As you may remember, I was really excited about this book because I adored Matched. I loved the world-building, the characters, and the questions about free will and choice, and I was anxious to continue the journey in Crossed. I'll kick off our discussion with my own thoughts about the book. Refusal to reinstate the status quo: Crossed is unafraid to reckon with the consequences of Cassia and Ky's actions from Matched, and I loved that. I feel like, too often, sequels try to return things to the status quo, and often, that's unrealistic or unsatisfying. Crossed, by comparison, takes Cassia and Ky out of their element and out of the Society, forcing them to contend with the very real fallout of their choices. Continued world-building: Matched is all about showing readers the intricate and complex way that the Society works. The world-building is vivid, interesting, and compelling, and I loved slowly uncovering this foreign way of life. 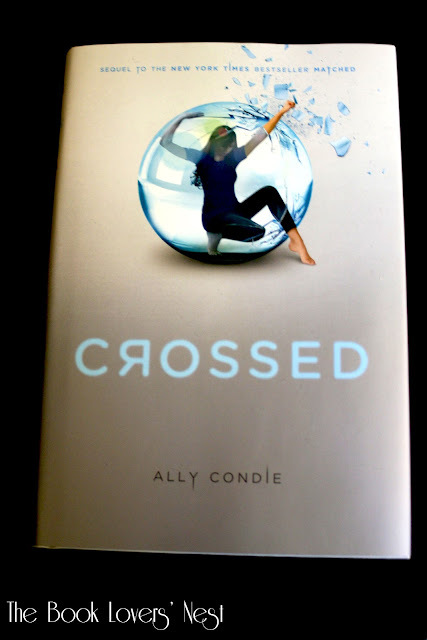 Crossed continues much of this world building, but instead of focusing solely on the Society, this novel explores those aspects that are outside of it. We learn so much about the people who live beyond the Society's boundaries, and you get the sense that there is the whole other world outside of the Society. New characters: Crossed introduces quite a few new characters: Vick, Eli, Indie, Hunter, etc., and each has a unique and interesting story to tell. They all share Cassia and Ky's general discontentment with the Society, but for different reasons. More than anything, these characters show that there is no right way to live within or without the Society, and each individual must find their own way to survive in this strange world. The Rebellion: Crossed offers a glimpse into the official Rebellion against the Society, and I'm definitely intrigued by it. We don't see much inside the actual Rebellion in this book, but rather, learn about it through the many characters who have interacted with it in some way. The different perceptions of the Rebellion are equally fascinating. For some, like Cassia and Indie, the Rebellion offers hope and the promise of a new and better future. Others, like Ky, are much more wary of the Rebellion and see aspects of the Society's structure in the very thing that is trying to fight it. The book's lack of plot: At almost 370 pages, Crossed offers very little in the way of interesting and compelling plot. If I were to sum up the book, it would be this: "Ky and Cassia search for each other. They find each other. After hemming and hawing, they join the rebellion." Suffice it to say, there is no reason for this plot to eat up 370 pages. Although there is a lot of world-building, there isn't enough to fill up this entire book, and for every detail that Condie reveals, there are probably ten or so questions that go unanswered. I think Crossed would have been much stronger if its plot were condensed to the opening 50-100 pages of a novel with larger scope. Ky's narration: The first book is told entirely from Cassia's point of view. Crossed, by comparison, switches between Cassia and Ky as narrators. I was initially intrigued by this change, but I soon realized that Cassia and Ky have very similar narrative voices. It's difficult to tell one section from another, and I think this speaks to a failure on Condie's part to develop distinct voices for each character. I ultimately came to the conclusion that Condie included Ky as a narrator because Cassia is simply too limited. If Cassia were the only narrator, then there's no way for readers to see what happens to Ky before they are reunited. In that sense, then, his narration is little more than a plot device. Little follow-up with characters from the first book: There was so much more I wanted to know about characters in Matched - like Xander and Cassia's parents - but because of the nature of Crossed, their storylines are all but dropped. Cassia and Ky are sent off to the middle of nowhere, so of course we're not going to hear much about the characters from whom they've been cut off. We hear a little bit about Xander now and then, but we don't really hear anything about Cassia's parents. I'm still convinced there's more to their story, and I want to know what it is! I hope that the third book brings back these characters and tells us more. Unbelievable plot: I don't want to give anything away, so I won't be specific. But there were certain things in the novel that made me go, "What? No way!" I'm going to show my nerdy side here, but I spent a good portion of undergrad and grad school examining the way in which authors make fiction "believable," so it irks me when I see authors throw in unbelievable plot with no explanation. I've suspended my disbelief for them, and I feel betrayed. I think this was most telling with Xander's secret. And that's all I'll say. Overall, I was disappointed with Crossed. There are aspects that I really like, but more than anything, I just don't think there is enough in this book to justify its 370 pages. Matched is all about Cassia discovering the problems within the Society, and I imagine the third book will be all about her role within the Rebellion. In that sense, then, Crossed basically boils down to a bridge between the first and third book, the physical journey that gets Cassia from discontentment with the Society to the Rebellion. Crossed is all about the fallout from Matched and most likely serves as the setup to the third book. And at the end of the day, that doesn't really make for an interesting standalone book. That said, I'm still excited about the final installment. Matched was such a captivating book, and I want to see how everything resolves. I have so many unanswered questions, and I am interested to learn more. So Crossed is by no means a failure. I still want to keep reading, and I'd still recommend the series to others. With the caveat that Crossed is kind of slow and boring. What did you think of Crossed? What did you like? What didn't you like? What are your feelings about the Rebellion? Are you hopeful like Cassia or apprehensive like Ky? Did some of Ky's decisions make you rethink your feelings about him? In what ways is he like the Society? Any speculations about the Pilot? Do you think one of the characters is going to become the Pilot? If so, who? Who is your favorite secondary character and why? Which character did you find most intriguing? What do you think of Condie's use of famous literature throughout the series? How does literature help (or hinder) the characters? If you were Cassia, Ky, or Xander, what would you do? Live quietly in the Society, join the Rebellion, or try to find a way to live without either? What lingering questions do you have? What issues do you hope Condie explores in the final installment? I hope you'll join me for a lively discussion in the comments! Don't feel pressured to answer all (or even any) of these discussion questions. I wanted to provide something to get us thinking and talking, but please feel free to ignore them. I just want to hear your thoughts about Condie's series! It sounds like I should read Matched, but maybe not Crossed? I loved your detailed analysis of this book, though! It's very interesting to read! I agree that it's annoying when a book goes from believeable to absolutely no way! It's such a bummer! Yes, definitely read Matched. It's amazing and much more of a page turner than Crossed. I hesitate saying you should pass on Crossed entirely - ultimately, if you like Matched and want to read the entire trilogy, then you should read Crossed. And there are parts that are interesting and you do learn a lot more about the crazy world in it. It's just a little too long for my taste, like a lot of sections are "beefed up" to make this an entire novel. Just out of curiosity, but did you read/like the Hunger Games? This is very much in that genre, so they may be worth checking out if you're a fan of Collins' trilogy. I'm counting down the days till the movie! Great points all around. I can't wait to see what you have to say about the third book when it comes out and I hope it lives up to the potential this series has displayed (at least in the first book). This is the tough part about reading series of books as they are coming out, you never know if the quality will hold up or how long you will have to wait in between installments. It sounds like the world in Matched is a fascinating dystopian premise, and that really appeals to me. But at the same time I really like being able to burn through a whole series all in one go. Even if the latter books aren't as good as the early ones, the momentum can carry me through. The other tough trend these days is the desire to make things into trilogies. I wonder what the series would have looked like if it was just two books? Maybe that would have solved some of the problems with Crossed. Until the third one comes out I suppose it is all just specu-guess-tulating. You are so right about following books as they come out. It's always exciting to wait for the next installment to be published, but there really is no guarantee that it's going to be as good as the first. And I totally agree on the trilogy front. I'll be anxious to see how I feel about the entire series at the end. Maybe the third book will redeem everything? As much as recent trilogies (particularly in Movies) have been let downs (Pirates 3, Spider-man 3, Matrix 3), there is some hope for trilogies ending on a high note, I am looking at you Indiana Jones and the Last Crusade. (What 4th movie... I don't know what your talking about. It is a trilogy). Let's hope that the Third installment balks the more recent pattern. Good point! Here's hoping that the third one comes back with a bang and ties everything up nicely. :) I still really love this series and want to see it end on a very strong note. What do you think the title means? In Matched I think the connection was clearer. I am not sure about Crossed. So I just finished it last night. Didn't enjoy it, found myself skimming through to get to the meat.. wasn't much there. I need to know what's going to happen in this love triangle... or square, now that Indie's there... but not too pleased with book #2. The ending really had me confused! Crossed acted as the perfect page turner for me while traveling, but part of that was, as Kristin said, I was skimming to get to the real meat. Some of the plot points were obvious, and some, as you say, we're sort of laughable. But it still left me excites to read a third book and figure out exactly what happens!! I love reading your discussion questions. I feel like I'm back in AP English and the teacher is going to ask me what the symbolism behind the book is at any moment. I LOVED Matched, I liked Crossed and I'm really looking forward to the final installment. My feelings towards each character changed quite a bit throughout this novel, seeing insecurities and doubts come out changed my perception of them. Which in some ways made them seem more human and realistic, but also made Ky less likable for me. Some of the decisions he made seriously made me question his integrity and his loyalty to Cassia, which irked me given the fact that the girl had just traveled highly improbable lengths to reach him. Haha, you're so sweet! Oh AP English. I think our feelings about the series are very similar - LOVED Matched, like (but didn't love) Crossed, and still very much looking forward to the last book. I am so excited to see how everything turns out! I also agree that my feelings totally changed towards different characters. I loved Ky in the first book, but I definitely felt very differently towards in by the end of Crossed. And I'm much more interested in Xander now - I feel like my perceptions of them both basically switched! I wonder who she'll pick!